Yesterday (see: What Kind of Writer Are You? 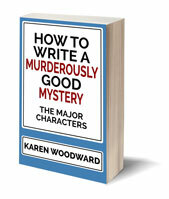 Dramatic Action versus Character Development) I talked about two kinds of writers or writing styles: those who preferred stories with a lot of dramatic action (Die Hard, for example) and those who favored tales that focused on the character's emotional development (The Notebook). Following Martha Alderson's lead, I introduced the first part of a whimsical test one could take, one designed to indicate which kind of writer you may be. The idea is this: if you know you prefer stories jam packed with dramatic action it could be that--either consciously or unconsciously--you aren't focusing enough on developing your character's emotions. But it works the other way too. If you are a sucker for a tale chalk full of characters exploring their shifting (/developing /maturing) emotions, then you could have a tendency to give dramatic action short shrift. At least, it might be something to watch for. In the following we will look at a character's internal traits (the same character as last time); her feelings, her hopes, her fears. 4. What trait, more than any other, holds your character back from succeeding? What is her greatest fault? Continuing my example from yesterday, if Tia's goal is to get enough money to pay for her sister's operation, her greatest fault might be a lack of patience (or perhaps people skills). This is why she hasn't--or can't--go through the normal channels. For example, though impatient, Tia could be charismatic and able to convince people to do things they'd rather not, thinks like helping her rob a bank! 6. What one thing does your character hate above all else? Perhaps Tia hates the cold depersonalization of any system that could see anyone, especially her sister, as a number. In this case the number being the amount of money the insurance company would have to pay for the operation. 7. What one thing does your character love above all else? At bottom, Tia can't stand for a nameless, faceless, bureaucracy to decide matters of life and death. She doesn't think it's fair. She doesn't think it's right. She is robbing the bank as much to get the money as to make a point. Perhaps a silly point (robbing a bank isn't a bright idea, especially for someone whose never done anything remotely illegal before), but a point nevertheless. 8. What does your character fear above all else? Perhaps Tia recently broke up with her fiancee. She told everyone it was because he was cheating on her but the truth was that she was cheating on him. 10. What does your character dream of doing? If this character could do anything, anything at all, what would it be? All her life Tia dreamt of being a singer but when she was a child her parents didn't have the money to pay for voice lessons. But they had enough money to give her sister voice lessons. Tia had always held that against her sister and now--in an odd twisted sort of way--Tia feels guilty about her sister's illness. Which questions were the easiest for you to answer? One to three, or four to ten? Which answers came the quickest? Those that had to do with your character's external goal, with the dramatic action of the story, or those that had to do with your character's internal goal, with your character's emotional development? Another way of asking whether you're more comfortable writing scenes chalk full of dramatic action or scenes filled with your character's emotional development might be to question whether you are more comfortable writing scenes or sequels. I haven't talked about scenes and sequels in this article, but Jim Butcher has an excellent discussion of both. Also, Dwight V. Swain spends a lot of time discussing scenes and sequels in his marvellous book, Techniques of the Selling Writer. Briefly, a scene is "a unit of conflict, of struggle, lived through by character and reader. It's a blow-by-blow account of somebody's time-unified effort to attain an immediate goal despite face-to-face opposition." Furthermore, a scene has the following structure: goal, conflict, disaster. That's from Techniques of the Selling Writer. In a scene the character actively tries to achieve a goal, encounters an obstacle (this results in conflict) and, just when it looks as though he'll attain his goal, the worst happens and it all ends in disaster. A sequel, on the other hand, is "a unit of transition that links two scenes, like the coupler between two railroad cars. It sets forth your character's reaction to the scene just completed, and provides him with motivation for the scene next to come." Again, that was from Techniques of the Selling Writer. A sequel has the following structure: reaction, dilemma, decision. In a sequel, the character reacts to the disaster at the end of the previous scene (reaction), enumerates--this could be explicit or implicit--the various possible paths he could take, as well as the pros and cons of following each, (dilemma) and, finally, picks one of the paths and begins to pursue a new goal (decision). The description I just gave of scenes and sequels is just the barest of bare bones. I encourage you to read Jim Butcher's articles and, if you can spare $16 or so, pick up Swain's book. 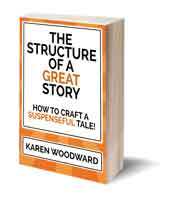 A good, engrossing story (of course) needs both dramatic action and character development, though when a story begins often we need more dramatic action than character development because we want to draw our readers into the story quickly. On the other hand, readers are very likely to lose interest if we don't get them interested in our characters and the only way to do that is to reveal their emotions, their desires, what makes them tick. That's the stuff reader identification is built from. Use the person you know best as a template for your characters. Namely, you. You know what you're afraid of, you know your flaws, your fears, your secrets. Use this in your writing. Is that thought scary? Would it be painful? You bet! But that's why Hemingway once said, "Writing is easy, you just open a vein and bleed." If, on the other hand, you love books heavy on character development and view dramatic action as an unfortunate necessity, then, as before, try using yourself as an example. What goals do you have? What tasks are you trying to complete? What are the stakes? What will happen if you succeed? If you fail? "Start with the Climax of your story, and work backwards. Using your intuition, pay attention. Link Dramatic Action to the changes in your character's emotional development." I'm going to try using different color index cards to indicate scenes and sequels, dramatic action versus character development, external versus internal goals. 1. Dramatic action versus Character Development. 2. External (/outer) versus internal (/inner) goals. The important thing is to find out what kind of story you prefer to write and make sure, in your final product, you have a mix of both dramatic action and internal development. Really, it's all about pacing. Generally, the pace of a story is adjusted by controlling the length of scenes (dramatic action) and sequels (character development). Experiment. Try adding a bit more character development (Donald Maass' Writing the Breakout Character Workbook is great for this) and seeing how it changes the story. Perhaps even try adding a bit of dramatic action and see how it alters the pace. Experiment! That's how one grows as a writer. 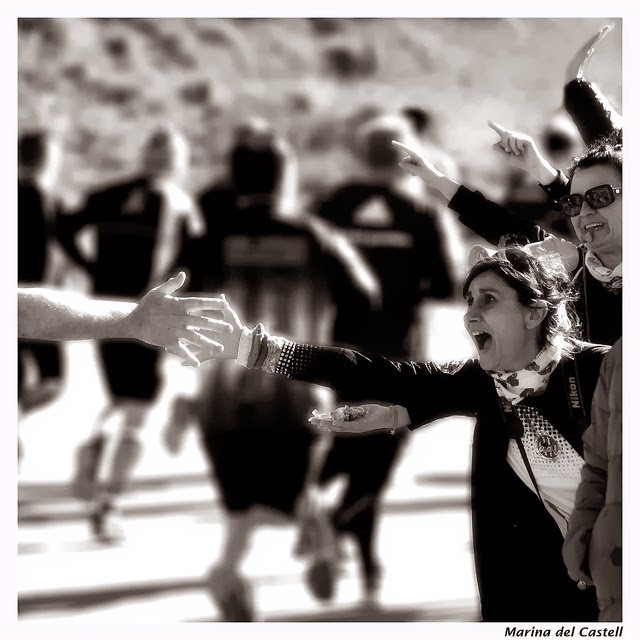 Photo credit: "Enthusiasm" by Marina del Castell under Creative Commons Attribution 2.0.